Grid-Tie Solar Systems - Best for those who already have electric utility service, but wish to significantly reduce their electric bill. Grid-Tie Solar Systems with Battery Backup - This is for those who already have electric utility service, but want the security of uninterrupted power in outage-prone locations. Off-Grid Cabin Solar Systems - Perfect for the scaled-down power needs of small homes and remote cabins, going off the grid. Off-Grid Solar Systems - Don't want an electric bill? An off-grid system is designed for the power needs of mid-to-large size homes, going off the grid. Considering a Solar Power System? Will you be in your home for the longer term? Have you taken initial steps to become more energy efficient? Is your house south facing? Do you have a clear shot of the sun from approximately 10AM - 3PM? If not, can you remove some trees to reduce the shading effects on the solar panels? An altE solar power system includes the major components needed for a solar PV installation. Since each installation is unique, some parts/materials will need to be purchased separately to satisfy the needs of your specific project and local regulations. Solar power systems harness the power of the sun to make electricity for your home, cabin, or tiny house. These renewable energy systems are available for homes that are connected to the electric grid, off-grid locations, and a hybrid of grid-tied with battery back-up. We've pre-designed systems for you to reduce the complication of "going solar". Our solar powered system packages provide you with high quality solar panels from top solar panel manufacturers, including components made in the USA. 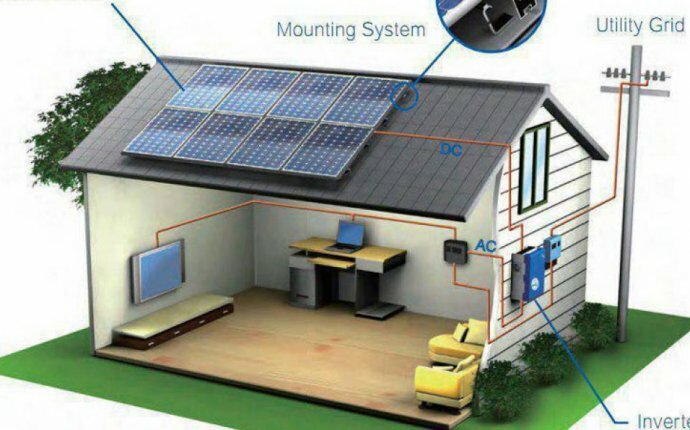 These systems include an inverter to convert the DC power from the solar panels for grid-tie systems or deep cycle batteries to AC power for your appliances for off-grid power or hybrid systems where you want both grid power and backup power. Systems that include batteries give you the ability to choose the type of battery that is right for your needs and budget. Multiple solar panel racking options are also available to safely install the solar panels, be it on the roof or on a pole. The balance of system components (i.e. breakers, wiring, etc.) ensure a safe installation.